My 8th grade students learned about Newton’s Laws at the beginning of the year. 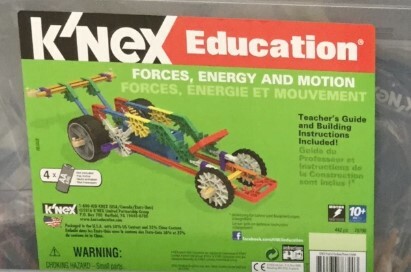 To help them review for the California Science Test (CAST) I used the Knex Forces, Motion, and Energy Educator’s kit. The students were excited to be the first to use these kits as well as to do a “hands-on” assignment. 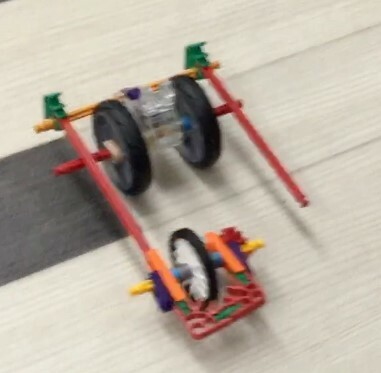 They used the kits to assemble cars without motors and demonstrate Newton’s laws using these cars. They were to take pictures or videos and explain Newton’s Laws, (kinetic energy, potential energy, force, speed, acceleration, mass, friction). They could make changes to the car, (such as different tires) to explain and demonstrate the laws. The students were fully engaged in the lesson as well as having academic discussions on the various aspects of Newton’s Laws and what they believed to be happening. I can’t wait to incorporate Knex into this unit next year.